Agra is a city in northern India's Uttar Pradesh state. It's home to the iconic Taj Mahal, a mausoleum built for the Mughal ruler Shah Jahan's wife, Mumtaz Mahal (who died in childbirth in 1631). The imposing main building features a massive dome and intricately carved white marble inlaid with precious stones. This is set behind a reflecting pool inside a courtyard defined by 4 minarets. The magical allure of the Taj Mahal draws tourists to Agra like moths to a wondrous flame. And despite the hype, it's every bit as good as you've heard. But the Taj is not a stand-alone attraction. The legacy of the Mughal empire has left a magnificent fort and a liberal sprinkling of fascinating tombs and mausoleums; and there's also fun to be had in the bustling chowks (marketplaces). Agra straddles a large bend along the holy Yamuna River. The fort and the Taj, 2km apart, both overlook the river on different parts of the bend. With so much to see and do, Agra is a great place to visit, and, luckily, there are some great, budget-friendly accommodations to use as a base for exploring. 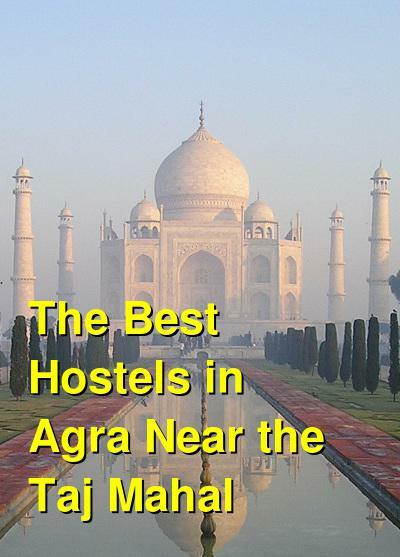 How much do hostels in Agra cost? Zostel offers a great budget-friendly option for accommodations in the spectacular city of Agra, with clean, comfortable dorms and privates. 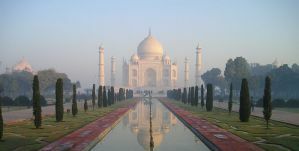 Zostel Agra is located only 0.3 Km from the nearest ticket counter to Taj Mahal. The hostel is 3.3 miles from the UNESCO World Heritage Site of Agra Fort and 9.9 miles from Sikandra. The Idgah Bus Station is 7.4 km, the Agra Cantonment Railway Station is 5 miles and the Agra Airport is 6.2 miles away. Zostel provides you with gracious interiors and all modern facilities with extraordinarily personalized service. Zostel offers several amenities including a large common room to relax and get to know others, a garden Cafe where you can enjoy the scenery and refreshments, free Wi-fi to stay connected, free travel advice to help you make the most out of your trip, AC to keep you comfortable, and hot showers for your convenience. You can enjoy city view from the room. At Zostel Agra you will find a 24-hour front desk, a garden, and a terrace. Linens are included with your stay. Backpacker Panda is a new comer in backpacking hostels. The house is adorned with an amazing graffiti work all around the hostel walls and offers comfortable, cozy mattresses. Here, they offer you the chance to explore one of the most visited destinations of the World: Agra, while still having the comforts of home and exceptionally customer friendly services. Backpacker Panda is Located just a stone's throw away from jaw-dropping splendid white marble mausoleum, Taj Mahal, one of the seven wonders of world. The property offers many amenities including neat and clean dorms, a multi cuisine restaurant with finger-lickin' food, well-equipped kitchenette, coffee and tea making facility, fast and reliable Wi-Fi, friendly and immensely helpful crew, clean and hygienic washrooms, safe abode, pure drinking water. They offer both private rooms and dormitory style accommodations. Linens are free with your stay and towels are available for hire. Bedweiser provides a great accommodation with all the modern facilities which a traveler needs at very affordable prices. They have many features including an in-house cafe, room to hangout, and an area where you can relax and have a cup of coffee and share stories with others. They also have a small game room with big screen where you can play games with fellow travelers. Travel help is always free and they aim to provide you with the cheapest transportation in and out of Agra. They offer private rooms and dorm rooms. Linens are free with your stay and towels and bicycles are available for hire. Big brother hostel is an authentic backpacker hostel in Agra, located just 400 meters from the eastern gate entrance. BBH is a great choice for budget travelers looking for cheap, clean, comfortable private & dorm rooms with all basic facilities. They offer a friendly, home-like atmosphere and great hospitality. They have a big roof top common area to socialize, party, and exchange travel stories. They offer free breakfast, free wi-fi, and free linen. There is also a fully equipped kitchen for self-cooking. Other features include hot/cold showers, air conditioned rooms, purified water, clean attached bathrooms, and a mini supermarket.